Near home there is a primary school. 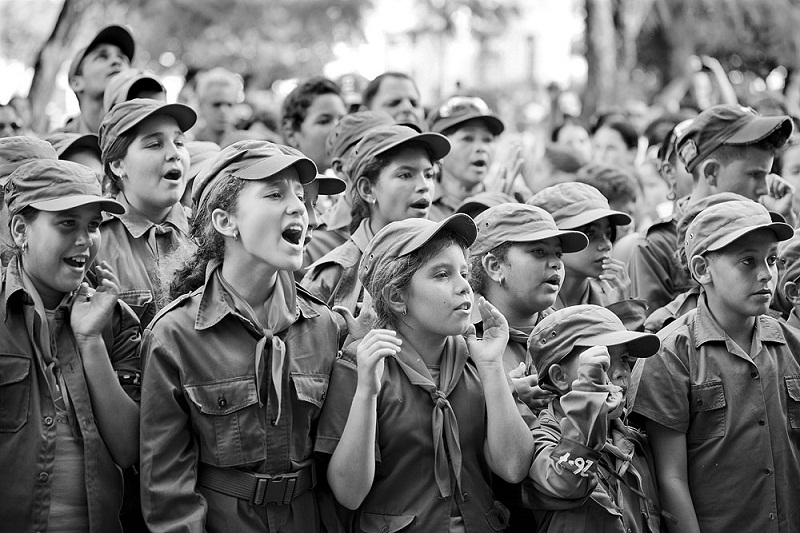 On the day of the pioneers the director made them wear military uniforms to boys and girls, made by their own mothers. Almost always reached the first link between all schools in the city that paraded. The Director achieved prestige and fame for his inventiveness. I did not know that I was disrespecting human rights for children that the UN had declared years ago. He reminded me of the black shirts that Hitler fathered to kill or beat anyone who opposed him, especially the poor Jews. 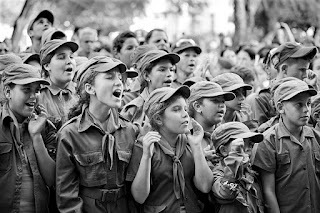 This was how he prepared the minds of the boys to be future defenders of the Castro regime. Fortunately, someone from the central committee of the PCC read the UN article and the parades stopped. Or were the criticisms of foreigners who saw in that a brainwashing since they were very young. The Director did not know anything else. It was rumored that he had been sent to a little school in the middle of the mountain. The international pressure and the most advanced minds of the country to whom official indoctrination could not make a dent could do much in a system as closed as ours in which the Magna Carta of Human Rights were bad words.